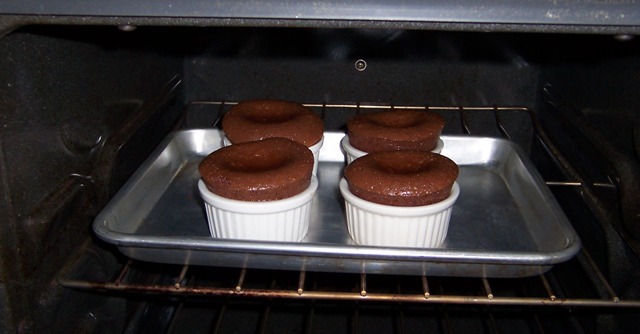 from the neighborhood: lava cakes! 5. Butter 4 individual ramekins, and pour in chocolate batter. 6. Cook for about 10 minutes. They were definitely, as Hanna says, “tasty goodness”!